Today Jan 2nd, same M42 on APOD and on ASOD, I prefer this one ! 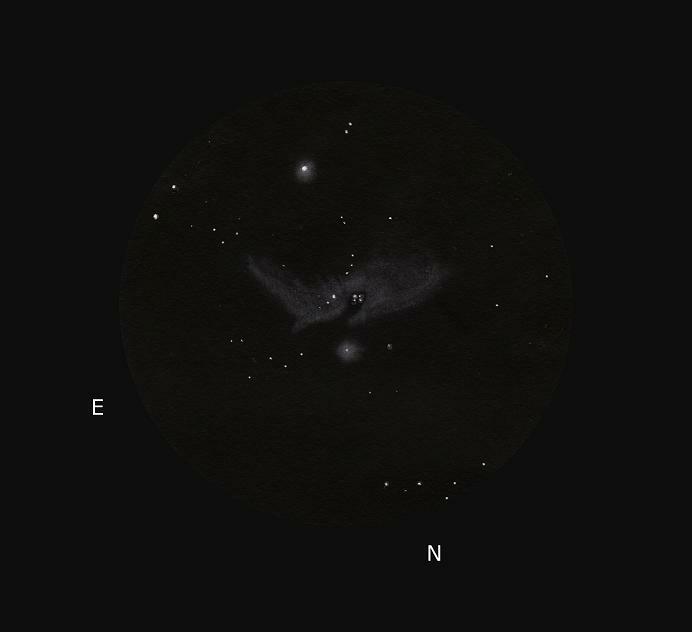 Excellent work sketching M42. The intricate details in the nebulosity are very fine. Very much enjoyed your sketch. I agree with Michel, I prefer the sketch! Very nice low power view of the great Orion Nebula. Beautiful capture of the nebula… Well done!